The Book of Mormon was given from the Lord for the convincing of both the Jews and the Gentiles that "Jesus is the Christ". The volume of scriptures known as the Doctrine and Covenant is a book that unites the teachings of the Savior with the ordinances and organization of the gospel. This we clearly understand. But why did the Lord give us the book of Abraham? The manner in which this book came into the hands of the prophet shows us how important this book is. We have to also consider that the book of Joseph was contained in the same place. The prophet explained that this book was so huge that the Bible was smaller than it. How come the book of Abraham was translated first, instead of the book of Joseph? Probably the book of Joseph contained parts already in the Bible and a revelation regarding the last days. We know this from Joseph Smith and Oliver Cowdery. Probably the revelation about the last days was similar to that one found in 1Nephi 14:19-26 "And I looked and beheld a man, and he was dressed in a white robe. And the angel said unto me: Behold one of the twelve apostles of the Lamb.Behold, he shall see and write the remainder of these things; yea, and also many things which have been. And he shall also write concerning the end of the world. Wherefore, the things which he shall write are just and true; and behold they are written in the book which thou beheld proceeding out of the mouth of the Jew; and at the time they proceeded out of the mouth of the Jew, or, at the time the book proceeded out of the mouth of the Jew, the things which were written were plain and pure, and most precious and easy to the understanding of all men. And behold, the things which this apostle of the Lamb shall write are many things which thou hast seen; and behold, the remainder shalt thou see. But the things which thou shalt see hereafter thou shalt not write; for the Lord God hath ordained the apostle of the Lamb of God that he should write them. And also others who have been, to them hath he shown all things, and they have written them; and they are sealed up to come forth in their purity, according to the truth which is in the Lamb, in the own due time of the Lord, unto the house of Israel. And I, Nephi, heard and bear record, that the name of the apostle of the Lamb was John." So John the revelator was appointed to write this revelation. We need to keep in mind that the book of Abraham was written first. before Moses received his revelation concerning the story of creation and everything else he wrote prior to his time. It's possible that he may have also learned some of these thing from the library in Egyptian. We read in Acts 7 :22-25 "And Moses was learned in all the wisdom of the Egyptians, and was mighty in words and in deeds. And when he was full forty years old, it came into his heart to visit his brethren the children of Israel. And seeing one [of them] suffer wrong, he defended [him], and avenged him that was oppressed, and smote the Egyptian: For he supposed his brethren would have understood how that God by his hand would deliver them: but they understood not." From those verses it seems that Moses may have known more about the true God than we assume. Paul specifies this when he wrote in Hebrews 11:24-26 "By faith Moses, when he was come to years, REFUSED to be called the Son of Pharaoh's daughter; CHOOSING rather to suffer affliction with the people of God, than to enjoy the pleasures of sin for a season; Esteeming the REPROACH OF CHRIST GREATER RICHES THAN. He REFUSED and he did chose! He was prince of Egypt and he had access to every important place, including the royal library. We also know from the Bible that Abraham lived for a while in Egypt. However, unlike Moses, he was chosen to be the father of all believers and it is through him that all mankind will be blessed. Why? Because of his faithfulness to God. Even when he was asked to sacrifice his only begotten son, Isaac he was faithful and obedient to the Lord, despite the fact that such a commandment seemed to go against the very teachings God had given him! Therefore, God made an eternal covenant with Abraham long before the birth of Moses. And this is the answer to why God gave us the Book of Abraham. The covenants which God made with the father of all believers are still in force today. Therefore, it is vital for us to know more about Abraham, what he went through and what made him become the special person that he is. Without this understanding we can't fully appreciate the nature of the Abrahamic covenants nor comprehend the great significance of our own covenants. And without that understanding there is no power to the covenants we make. Concentrated in the Book of Abraham is a knowledge of the deepest doctrines of the gospel, such as the preexistence, the intelligence of man, the makeup of the universe and many other subjects. Then suddenly the original scrolls apparently were burned during a fire in the Chicago museum where they were being kept. It was as though the Lord took away the physical evidence of their existence, just like He did with the book of Mormon. But then, in 1967 several fragments of the original scroll were found in a different museum. I won't go into all the story, but our church became the owner of these surviving fragments and published everything we had for the world to see. Critics of the church insist that we were forced to do this, but I find it hard to believe that if you own something and don't want anyone to see, there's no way someone can force you to do it. 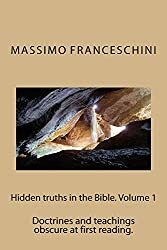 Regardless of why the church published these fragments, once they were released to the public they were scrupulously studied by the best scholars. The conclusion they reached was that the writings contained in these fragments had to do with Egyptian funeral matters rather than a gospel message written by the patriarch Abraham. Furthermore, according to their opinions, this document was written long after the time of Abraham. Since the church still steadfastly maintains its position in regard to this matter, who is right and who is wrong? As to whether it was written during or long after the time of Abraham is not a problem for me. In the New Testament we can easily see that not all the epistles were written personally by the apostles themselves. Rather most of them were dictated to scribes. For example, we read in Romans16:22 "I Tertius, who wrote [this] epistle, salute you in the Lord." In I Peter 5:12 we read, "By Silvanus, a faithful brother unto you, as I suppose, I have written briefly, exhorting, and testifying that this is the true grace of God wherein ye stand." In II Thessalonians 3:17 Paul states that he wrote the salutation to everyone of his letters, but he doesn't make the same declaration concerning the contents of his letters. Yet, despite this fact, we still refer to the New Testament epistles as though they had being written by apostles themselves. Furthermore, the actual manuscripts that we have possession of today are certainly not the originals, but instead are copies which were made centuries after the originals were made. Nevertheless, nobody makes this out to be a big problem. However, for me there is another way to look at these fragments. Rather than trying to get into a scholarly debate on what an Egyptian funeral is or isn't, or whether the translation is accurate or not, I'd like to talk a little bit about the symbols contained in the fragments, even though, unfortunately, only a small portion has come to us. And it is on this subject that I think I can prove that Joseph Smith didn't make up the Book of Abraham. Certainly the critics of the church will laugh and scoff at my ideas, but I will present them anyway. On page 36 of the Pearl of Great Price there is a picture, labeled "facsimile number 2" and under it are explanations by Joseph Smith of what the symbols mean. The critics maintain that these explanations do nothing to prove that he translated the symbols correctly. That is true, because a symbol, by its very nature, is mysterious. But what about the contrary? What makes the scholars believe that their interpretation of the symbols are correct? But let's assume that they are correct when they say the picture is simply a depiction of a funeral ceremony. We know that everything the Egyptians did also had a religious significance to it. Now it's true that the Egyptians were heathen and were not followers of Abraham's God. Nevertheless, we know from the book of Abraham that he taught them regarding his faith and that they knew about their cursing regarding the priesthood. In Abraham 1:25-27 we read, "Now the first government of Egypt was established by Pharaoh, the eldest son of Egyptus, the daughter of Ham, and it was after the manner of the government of Ham, which was patriarchal. Pharaoh, being a righteous man, established his kingdom and judged his people wisely and justly all his days, seeking earnestly to imitate that order established by the fathers in the first generations, in the days of the first patriarchal reign, even in the reign of Adam, and also of Noah, his father, who blessed him with the blessings of the earth, and with the blessings of wisdom, but cursed him as pertaining to the Priesthood.Now, Pharaoh being of that lineage by which he could not have the right of Priesthood, notwithstanding the Pharaohs would fain claim it from Noah, through Ham, therefore my father was led away by their idolatry." In the same book we learn that "But the records of the fathers, even the patriarchs, concerning the right of Priesthood, the Lord my God preserved in mine own hands; therefore a knowledge of the beginning of the creation, and also of the planets, and of the stars, as they were made known unto the fathers, have I kept even unto this day, and I shall endeavor to write some of these things upon this record, for the benefit of my posterity that shall come after me" (verse 1:31). 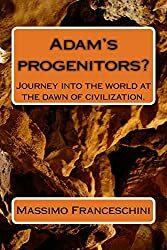 Therefore we have a proof here that Abraham possessed all the records regarding the creation and being a great preacher, he probably shared many of these things with the Egyptians while he lived among them. Therefore, if we are able to find something in the fragments associated with the religion of Abraham, this would be a great connection between the two of them. I know this won't be easy but think about it! If there is something related to the Jewish religion in a simple fragment, how many more things could we find in the whole scroll? Before I cite my reasons for believing there is a connection, I want to relate a story, to set the basis for my remarks. In 1980 I had gone to the temple in Switzerland. While there I met an old missionary who was having a gospel discussion with a sister. He told her something that struck my imagination. He quoted a declaration of the prophet Joseph Smith regarding something contained in the book of Abraham. Ever since that time I never forget that quotation. It was like a pearl of great price for me. In 1993 I was bothered about the mystery of the dinosaurs. I never accepted the theory of the scientist. They are good for many things but not for discovering the mysteries of God. There are two theories scientists give concerning the extinction of the dinosaurs. The first is that a meteorite hit the earth and destroyed them. The second is that they died off during the great Ice Age. My question to both theories is: Why did only the dinosaurs vanish? Also these are the main theories, which means that there are more about 55, which means that the scientists are not sure about any of those. Anyway I can debate with them because I am very ignorant in this matter, comparing to them, but I trust in the word of God like in the case of Darwin's theory, many people believe that his theory is good, believers too. In cases like these I prefer to support the word of God. Recently I saw a Christian web on the internet trying to prove that these kinds of animals were on the Ark. The way they were trying to prove it was by explaining the meaning of the words, but they didn't use anything from the scriptures to back up their claims. In other words, as far as I'm concerned, their ideas were nothing more than man-made philosophy. We know that dinosaurs did live upon the earth. The question is, what happened to them? In Genesis 2:19, it states that after God placed man in the Garden of Eden, "And out of the ground the LORD God formed every beast of the field, and every fowl of the air; and brought them unto Adam to see what he would call them: and whatsoever Adam called every living creature, that was the name thereof." If every beast of the field that was created was brought to the garden for Adam to name, that the Dinosaurs were, and Adam gave them a name. The question is, what name did he give them? When Adam and Eve were driven out of the garden, so were all other living creatures. If this is so, then that means the dinosaurs were contemporary to all the other creations. As such, when people saw them, they were familiar with who and what they were. But after these kinds of animals no longer existed, the future generations then had no first-hand knowledge of these ancient creatures. It is like the history of the world or the history of the gospel. When you live it first-hand there is no problem with understanding what is happening, but when the story is retold many times through many generations, after awhile some people begin to say that such stories are a myth or folklore. For example, we believe that dragons are a myth, and yet they are mentioned several times in the Bible. This is a clue. What the people of the Old Testament called a dragon and what we think of when we talk about dragons are probably not the same thing, because after generations of time the meaning of the word has changed. Therefore what is strange for us today, was well known and understood by the people who were contemporaries of dragons. I felt that the solution about dinosaurs is contained in the Bible, and, like always, when we understand it in its proper perspective, it is clear and easy to see. 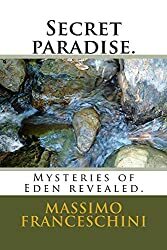 One day as I was contemplating about this topic I heard a voice in my mind say: "Massimo, think about at what happened in the garden of Eden and what kind of animals were there!" Suddenly everything became clear and easy for me to understand. One of the types of animals that was in the garden were reptiles! Then I remembered that the serpent was a member of the reptile family. What kind of a curse is this unless the serpent had lost his legs? But when did this curse take effect? We know that they were driven out of the garden along with Adam and Eve. Did they walk out or did they slither out? My belief is that they walked out but as time went on a MUTATION began to occur among them. but God did say, `You must not eat fruit from the tree that is in the middle of the garden, and you must not touch it, or you will die.'" But they didn't die right that way, they were immortal and became mortal but they died later. Cam was guilty but the curse, strangely went on his descendants. I can't argue with the Lord He decided in that way and it is fine for me. As they delivered their offspring, the came out mutated - that is, without any legs. Because of this, they had to move upon their belly. We also know that dinosaurs are classified as belonging to the reptile family. But dinosaurs had legs. Now, because of the curse which God put upon them, it is not possible for this member of the reptile family to walk on legs anymore. Is this the reason why "dinosaurs" vanished? To some this may seem hard to accept, but there's more proof. In Revelation 12:9 we read: "And the great DRAGON was cast out, that OLD serpent, called the DEVIL, and Satan, which deceiveth the whole world: he was cast out into the earth, and his angels were cast out with him." Here we see the Bible identifies Satan as the dragon and as the old serpent. Since the Bible specifically states that there was such an animal as a dragon then they couldn't be a myth and also it seems evident that the OLD serpent was different from the serpent on John's time. But what is a dragon? Could it be a dinosaur? Remember that Adam gave names to all the animals. If there were dinosaurs in the garden, he wouldn't have called them by that name because this word was used for the first time less than a century ago. But he certainly could have used the word dragon. Since the Devil worked through the dragon/serpent (dinosaur), then that word would make a lot of sense in this particular context. But how does this relate to the book of Abraham? I am sorry if I was going all over the place, I really don't care a lot about the story of the serpent unless give me an important clue to be related to be book of Abraham. What I heard the old missionary in Switzerland say was: "The Prophet Joseph Smith taught that the serpent in the garden of Eden had legs." He was referring to something he saw in the scroll of Abraham. At that time I didn't know anything about the several fragments of the book of Abraham which had been found, but later, when I moved to America, I read something about it and when I was looking into it I found this. Please take a look at this picture because when I did, I was dumbfounded. This is a one of the fragments of the Abraham's scroll. Is this the way the serpent looked in the beginning? No way! But this is an Egyptian drawing, depicting a serpent with legs. How could that be unless they believed that once upon a time serpents could walk? And how did they come to such a belief? We know that Abraham knew this, but how could the Egyptians know it unless a true man of God had revealed it to them? If you don't accept the book of Abraham, that's all right, but let me exercise my right to revere this sacred book, because it contains something related to the Bible. But regardless of whether you accept my ideas or not, and regardless of what the critics say, it is my testimony that the book of Abraham, like the church, is true!